It is earnings season again, which is one of the best times to exploit earnings-related option pricing anomalies. Option traders are savvy, but Earnings volatility is a difficult concept and it affects every option in the matrix differently.When markets move, it is very difficult for market-makers to accurately apply the unique earnings volatility adjustments across the entire matrix. 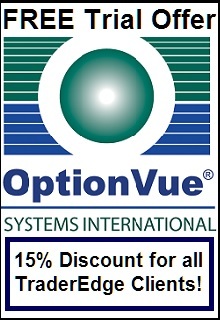 This creates value-added opportunities for option traders with the right tools. Fortunately, there is a precise framework that quantifies the exact impact of earnings volatility on the value of every option. 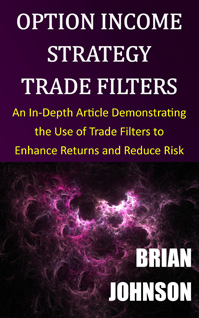 I introduced this analytical framework in my recent book, Exploiting Earnings Volatility: An Innovative New Approach to Evaluating, Optimizing, and Trading Option Strategies to Profit from Earnings Announcements. "Exploiting Earnings Volatility also includes two Excel spreadsheets. The Basic spreadsheet employs minimal input data to estimate current and historical earnings volatility and utilizes those estimates to forecast future levels of implied volatility around earnings announcements. The Integrated spreadsheet includes a comprehensive volatility model that simultaneously integrates and quantifies every component of real-world implied volatility, including earnings volatility. 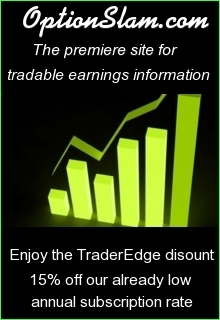 This powerful tool allows the reader to identify the precise level of over or undervaluation of every option in the matrix and to accurately forecast future option prices and option strategy profits and losses before and after earnings announcements. The Integrated spreadsheet even includes an optimization tool designed to identify the option strategy with the highest level of return per unit of risk, based on the user’s specific assumptions." After releasing Exploiting Earnings Volatility last year, I made a breakthrough in applying these tools in my own proprietary trading. The optimization spreadsheet that accompanies the book uses a genetic algorithm that was designed for the free version Solver (included with Microsoft Excel). The free version of Solver is useful in identifying very attractive risk-adjusted earnings strategies, but I have taken this much further in my own trading. I developed a linear version of the optimization problem that works with Lindo's "What's Best" software, which is much more powerful than the free version of Solver. The linear version still relies on data from the Integrated spreadsheet, but runs in a matter of seconds and always finds the single best optimal solution - rather than simply an attractive solution. In addition, I modified the optimization problem to constrain each of the "True" or Market-Implied Greeks, to limit the maximum number of positions, and to remove the use of specific spreads. 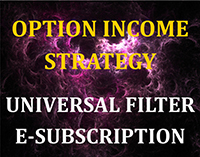 The new linear optimizer can now own a true portfolio of covered option positions, subject to my specific constraints. The resulting solutions are even more attractive than those identified by the free version of Solver. Unfortunately, I cannot offer this version of the optimizer to the public, but the Integrated spreadsheet provides all of the required data for this optimization problem, which could easily be exported to a separate spreadsheet for optimization with What's Best or even a more powerful version of Solver. For readers who are willing to invest the time to take optimized earnings strategies to the next level, the payoffs are remarkable. Copyright 2017 Trading Insights, LLC. All rights reserved. 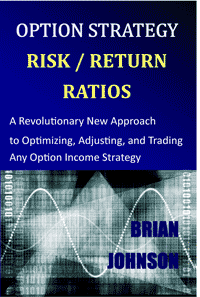 Print and Kindle Versions of Brian Johnson's New In-Depth (100+ page) Options Article are Now Available on Amazon. 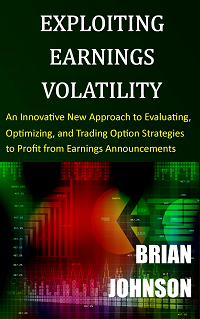 This entry was posted in Earnings, Options, Recommended Reading, Strategy Development and tagged Brian Johnson, Exploiting Earnings Volatility, implied earnings volatility, implied volatility, option, option earnings strategies, option strategy, Trader Edge. Bookmark the permalink.